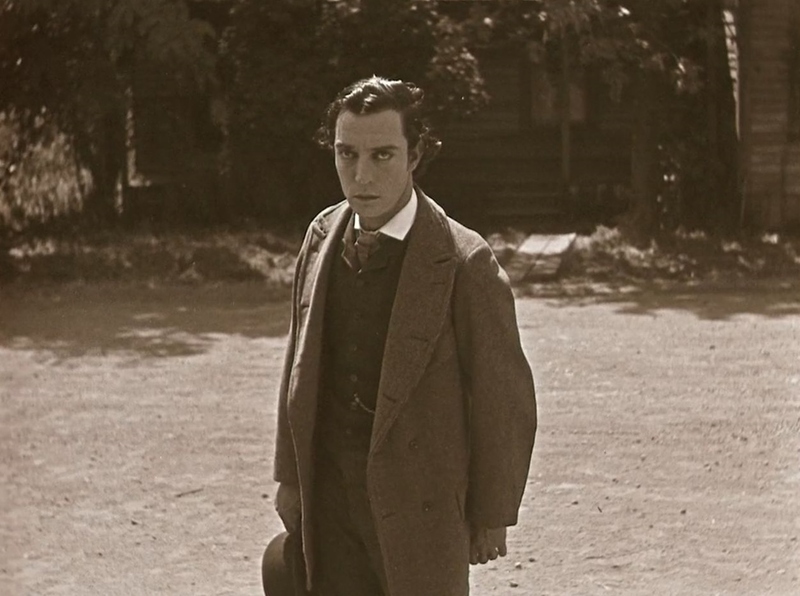 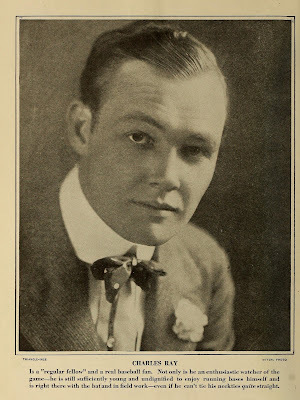 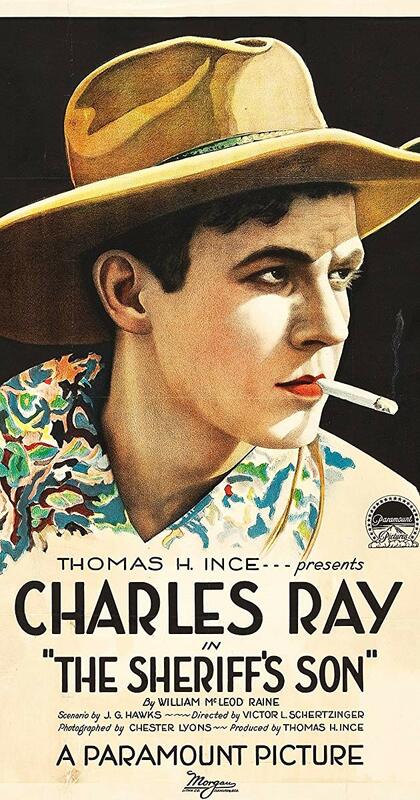 Charles Ray was a popular leading man at Paramount Pictures from 1915 to 1920. 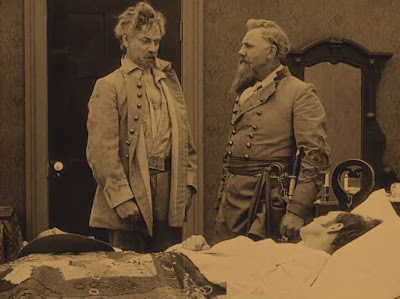 He usually portrayed a country bumpkin whose courage and perseverance brought about his success in endeavors as varied as a football game, a Civil War battle, and an automobile race. 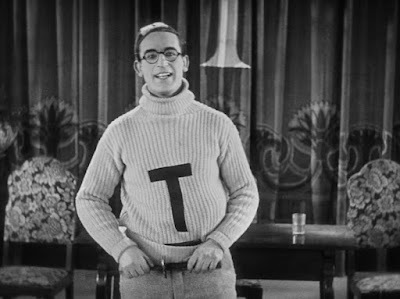 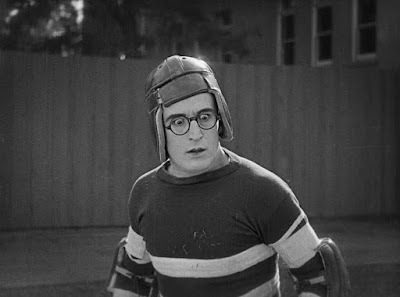 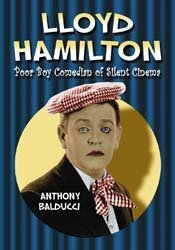 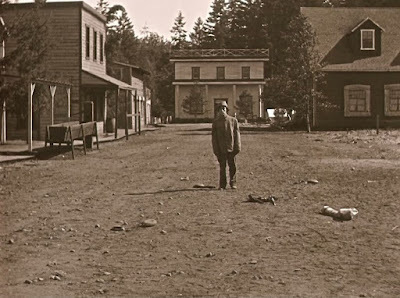 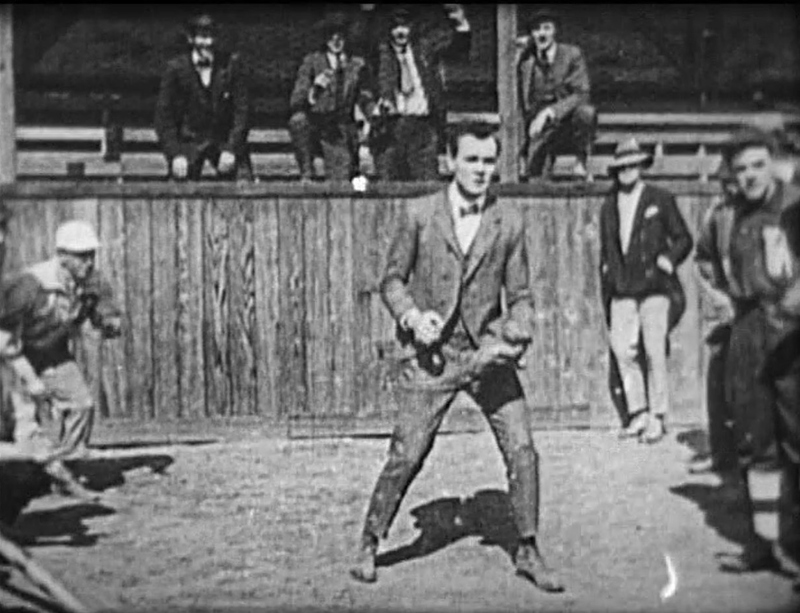 In the past, I presumed that Harold Lloyd and Buster Keaton's lamb-to-lion stories were largely influenced by Douglas Fairbanks' early films, including The Lamb (1915), Reggie Mixes In (1916), His Picture in the Papers (1916), Wild and Woolly (1917) and The Mollycoddle (1920). But I now see that Ray's films were a big influence as well. 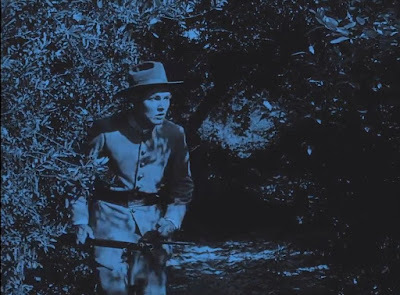 Renowned film historian Kevin Brownlow is confident that Lloyd and Keaton were both inspired by Ray's hayseed-to-hero parables. 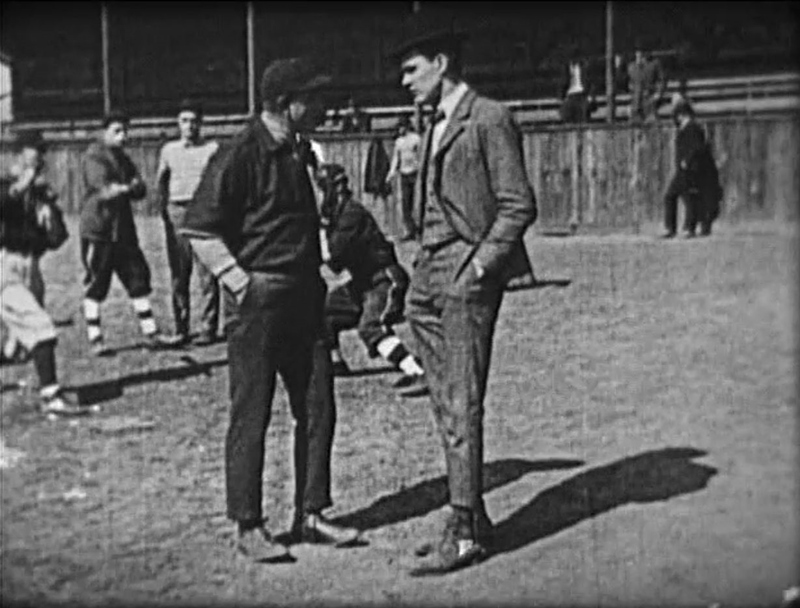 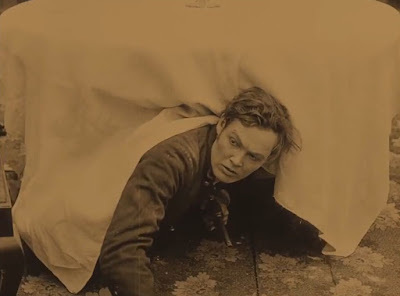 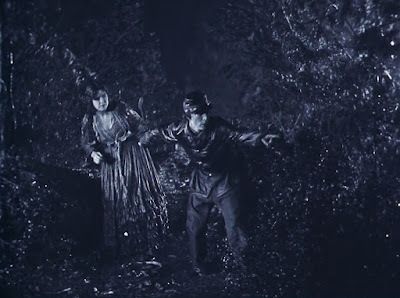 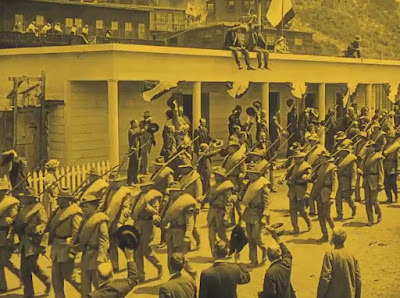 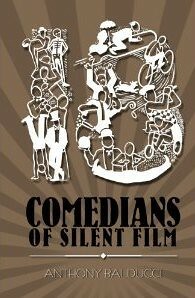 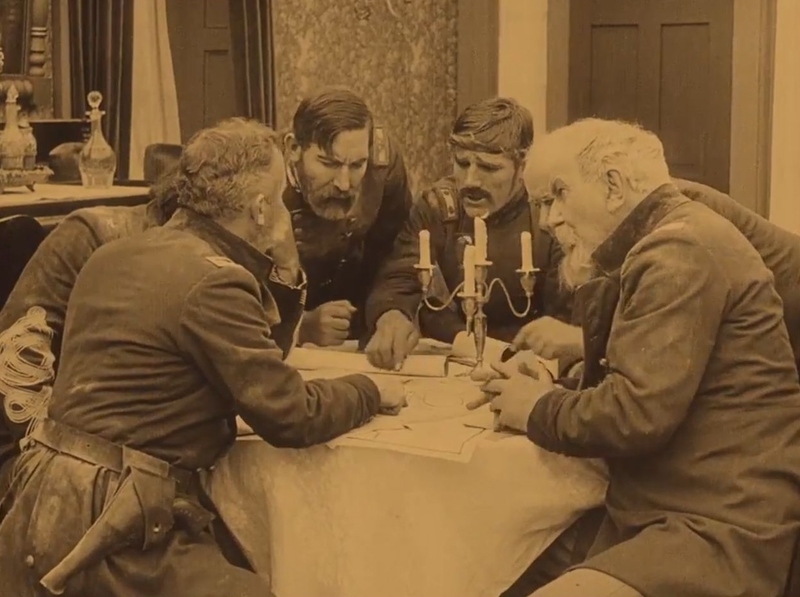 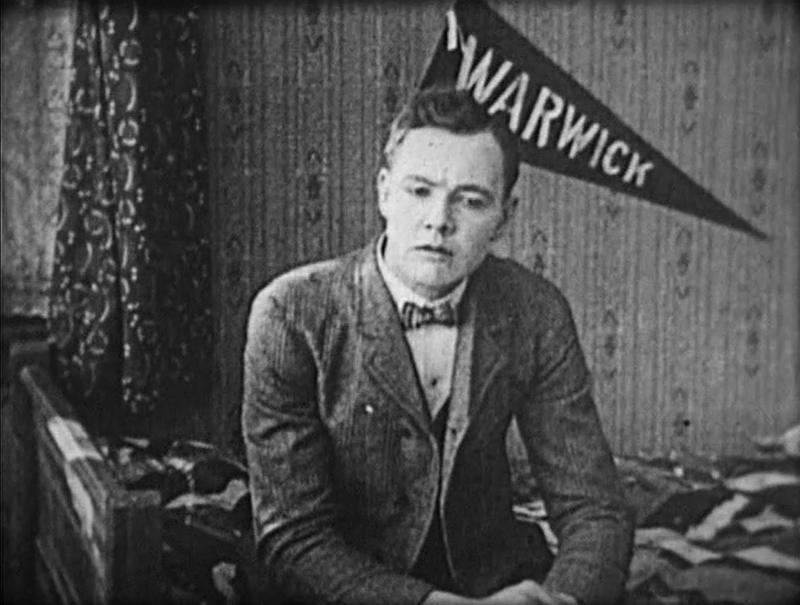 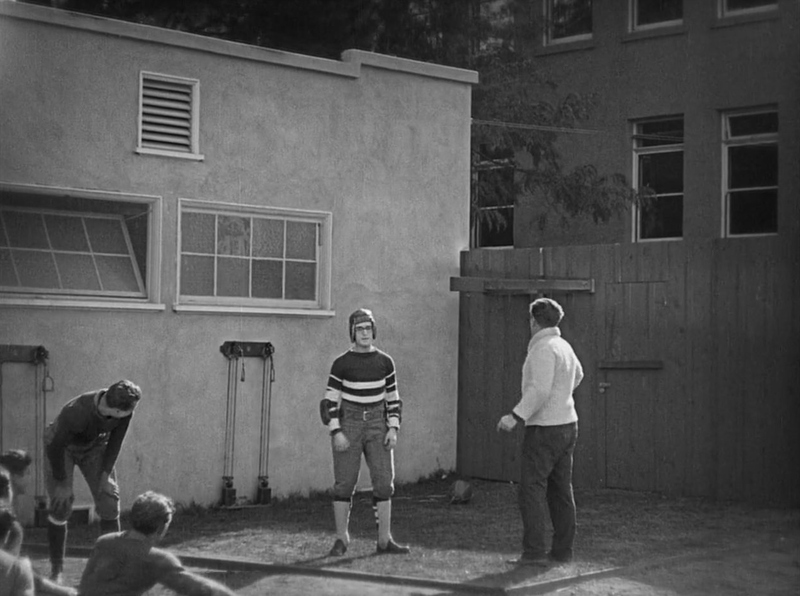 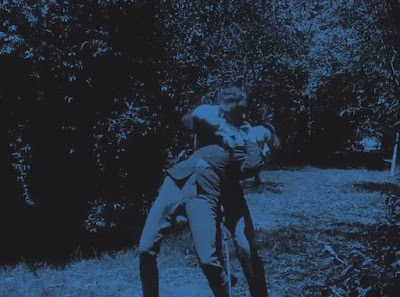 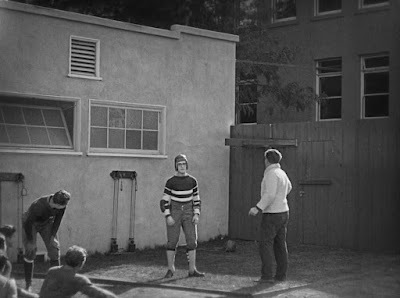 He points to similarities between Ray's The Coward (1915) and Keaton's The General (1926) as well similarities between Ray's The Pinch Hitter (1917) and Lloyd's The Freshman (1925). 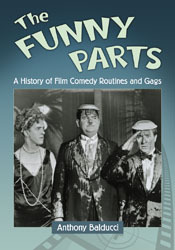 Let us now look at a few of those similarities. 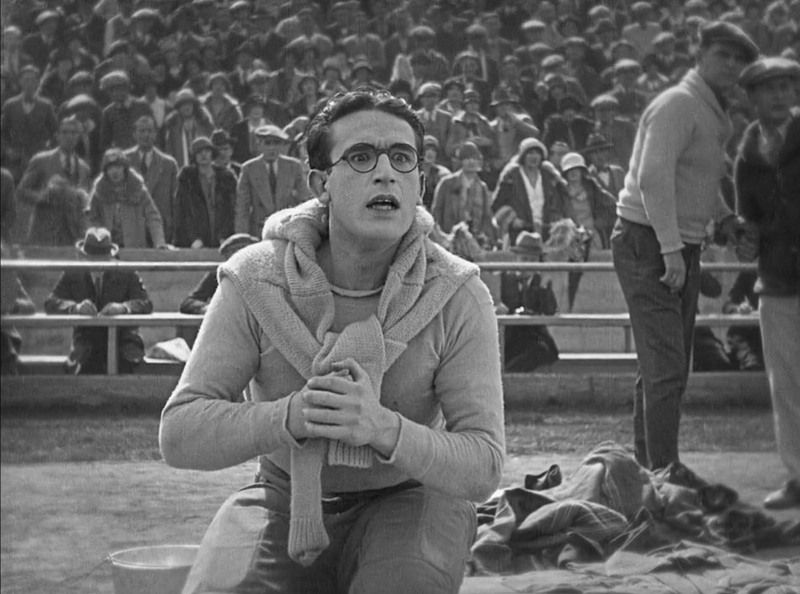 [Joel's] immediately pegged as a chump and is constantly victimized by the other students, headed by Jimmie Slater (Jerome Storm). 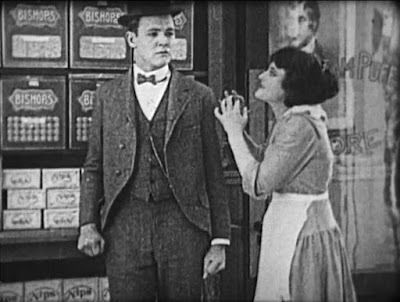 Only Abbie Nettleton (Sylvia Bremer), who works at the campus bakery, has any sympathy for him. 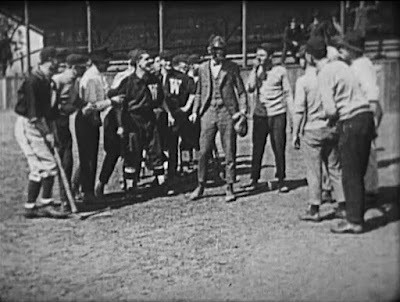 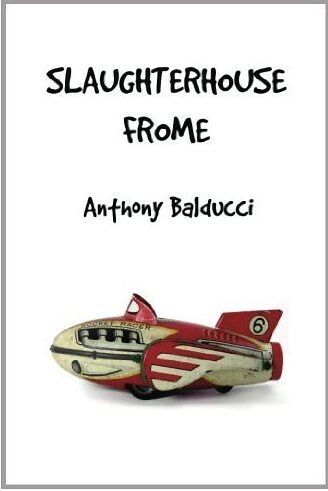 Joel does become mascot of the baseball team, but only because Coach Nolan (Louis Durham) believes that such a nincompoop will bring the team luck. 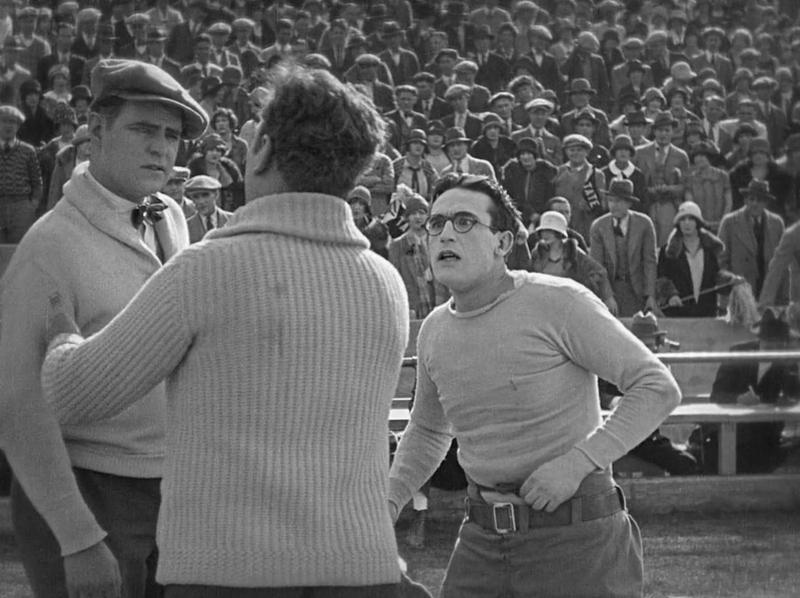 The film climaxes with a big game. 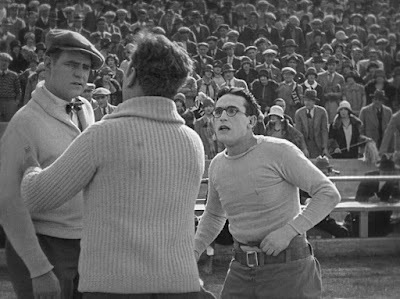 The game is rough on the players. It is the last of the ninth inning. 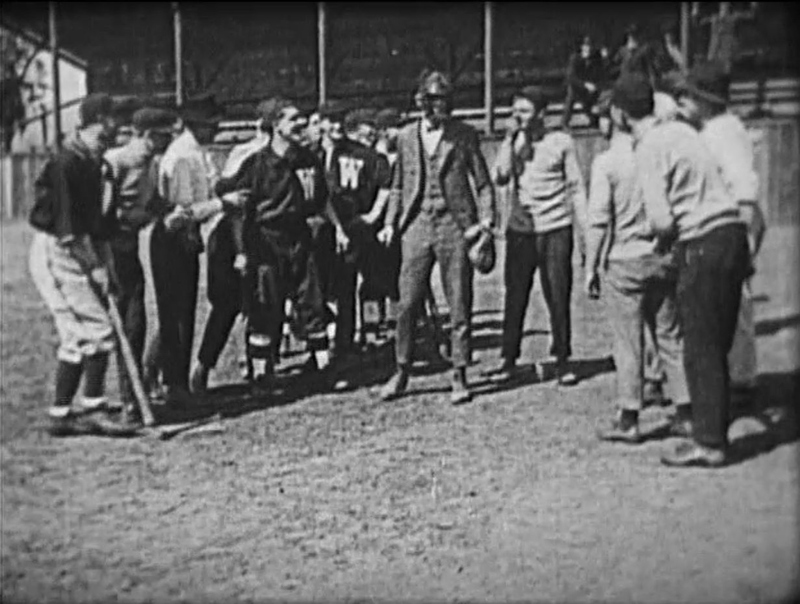 The player who is next in the lineup to bat has injured his hand, which leaves the coach no choice but to put Joel into the game as a pinch hitter. 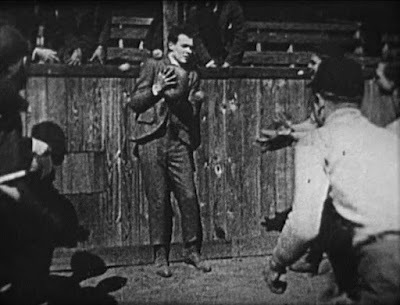 The ending is easily guessed - that's right, Joel winds up being thrown into the big game at the last minute, hits a homer, and wins both the game and the girl. 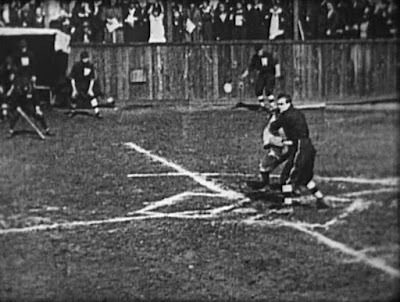 [T]he Williamson pitcher injures his hand and is unable to come to bat in the ninth inning. 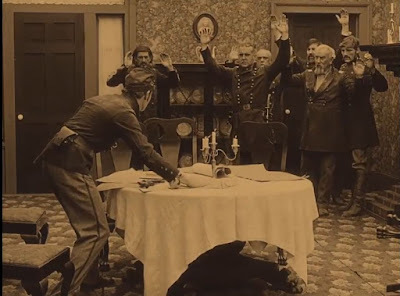 Wouldn't you know that the Williamson bench is depleted? Wouldn't you know that the tying run leads off third base? Wouldn't you know that Parker is ordered to grab a bat? Wouldn't you know that, incredibly, he wallops the game-winning homer? 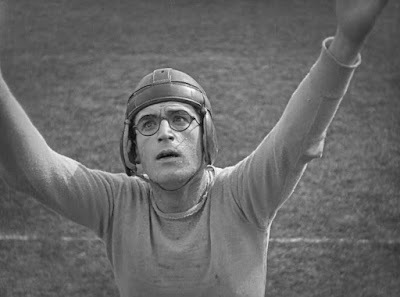 Joel Parker, campus fool, is now Joel Parker, campus hero. 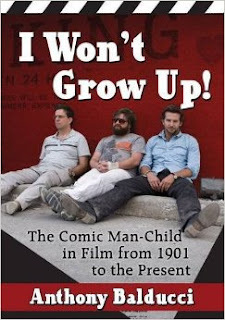 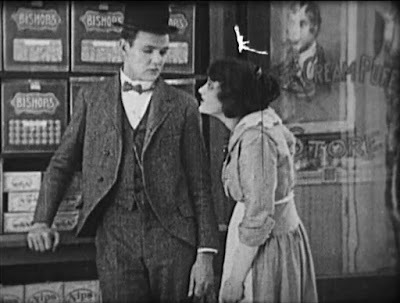 Certainly, this premise has become tired in the last hundred years, but audiences did not find the premise tired in 1915. 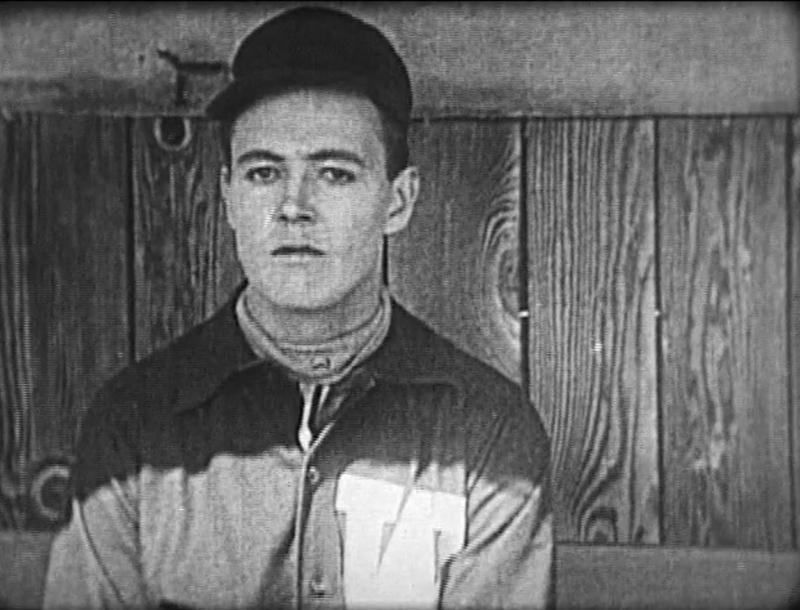 At the time, the sports film was in its infancy and the people who saw The Pinch Hitter in a theatre for the first time became excited when Parker walloped the game-winning homer. 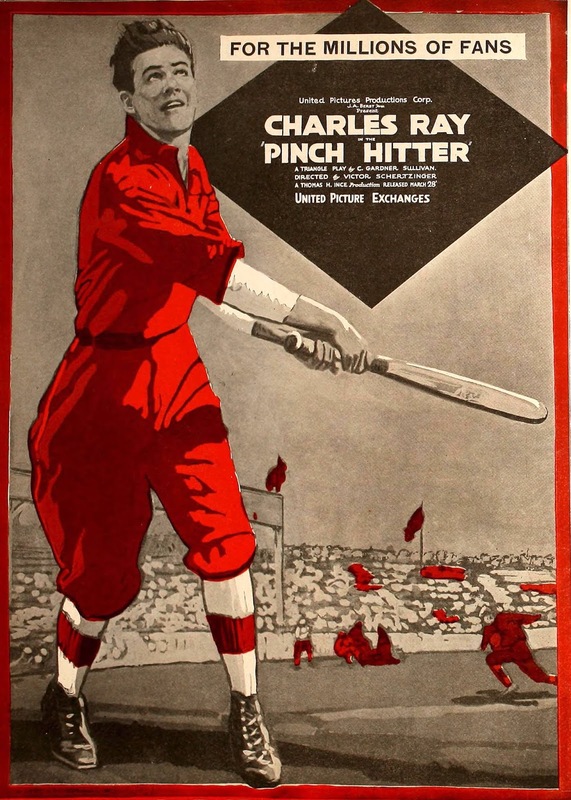 The Pinch Hitter was, in fact, a big hit in 1915. 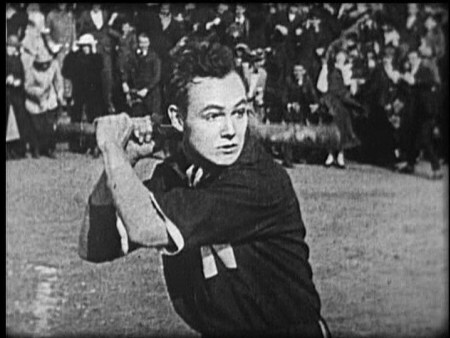 Lloyd followed the plot of The Pinch Hitter closely. Other students pretend to be friendly to him on his arrival to the school. A young lady boosts his confidence. 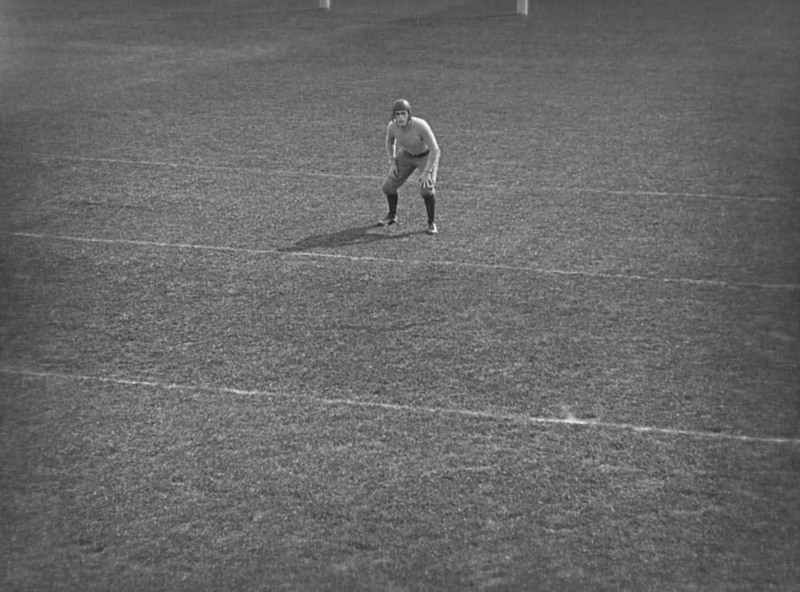 He has a hard time at the team try-outs. 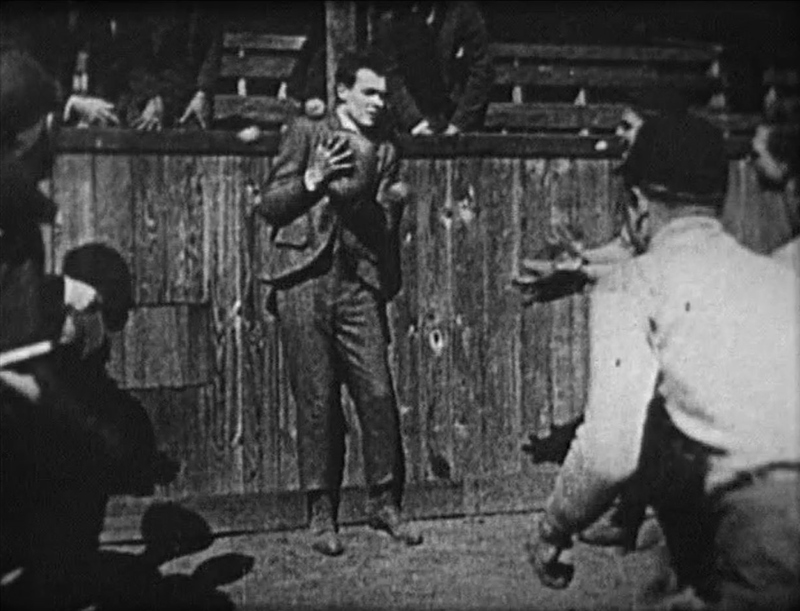 The film climaxes with a tense big game. Now, let's compare The Coward and The General. 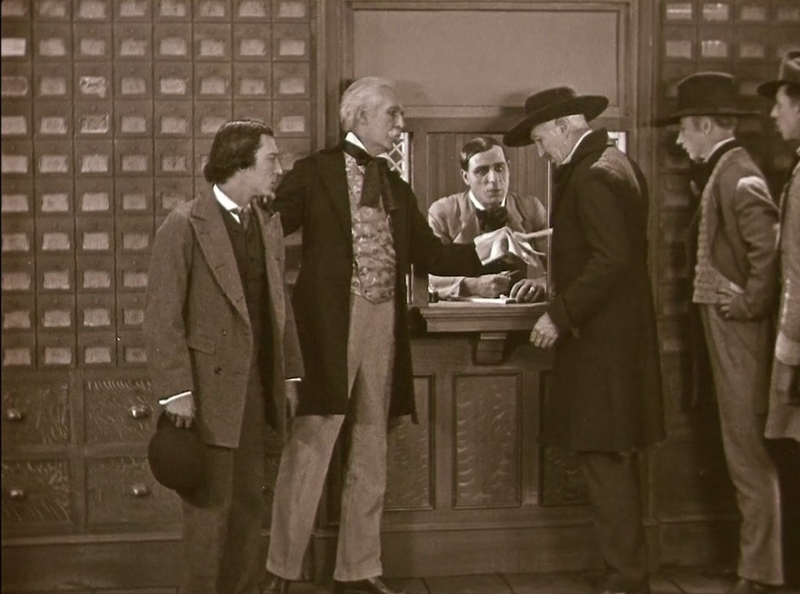 In The General, Keaton plays train conductor Johnnie Gray. 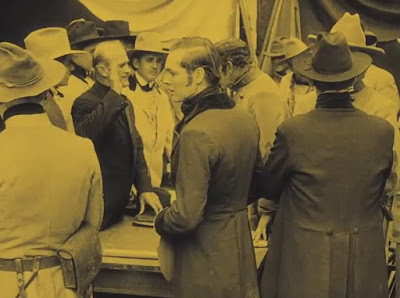 After the first shots of the Civil War are fired, Johnnie hurries to the local enlistment office in Marietta to apply for military service. 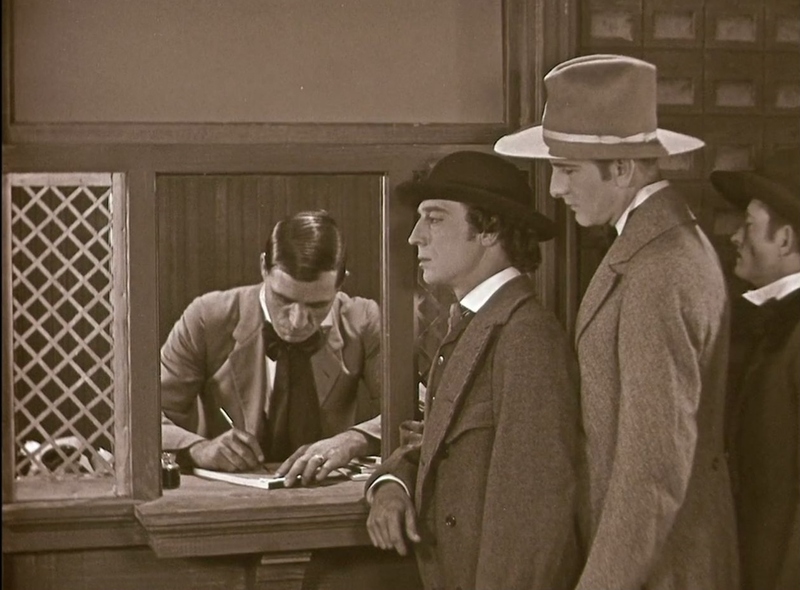 An officer, who believes Johnnie can better serve the military by continuing as a train conductor, instructs the recruiter to turn down his application. 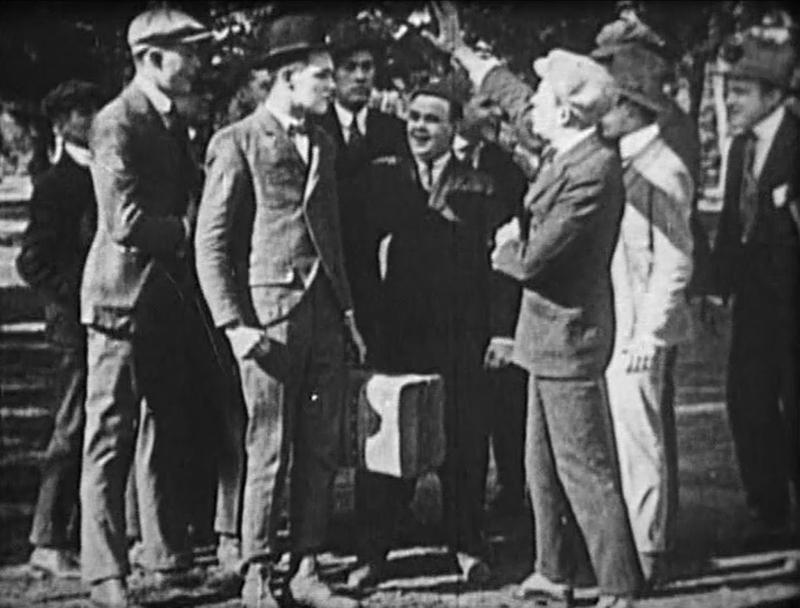 Strangely, the recruiter never bothers to tell Johnnie the reason for his rejection. It is left to Johnnie to assume that he was rejected as he failed to meet the physical standards. 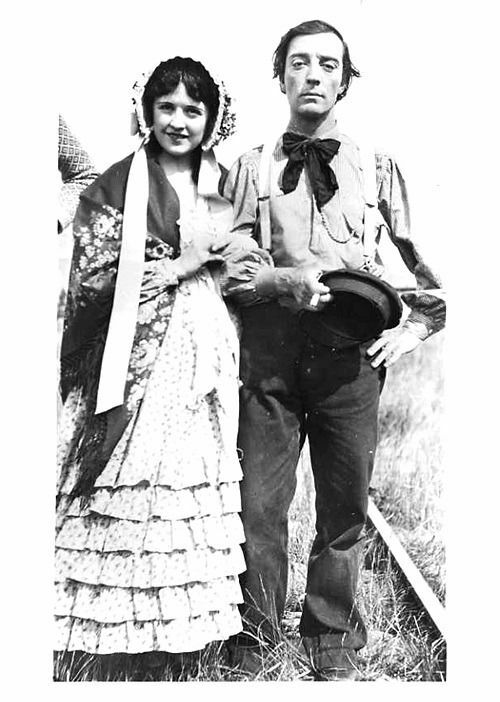 Others, including his girlfriend Annabelle, assume that Johnnie was too cowardly to enlist. 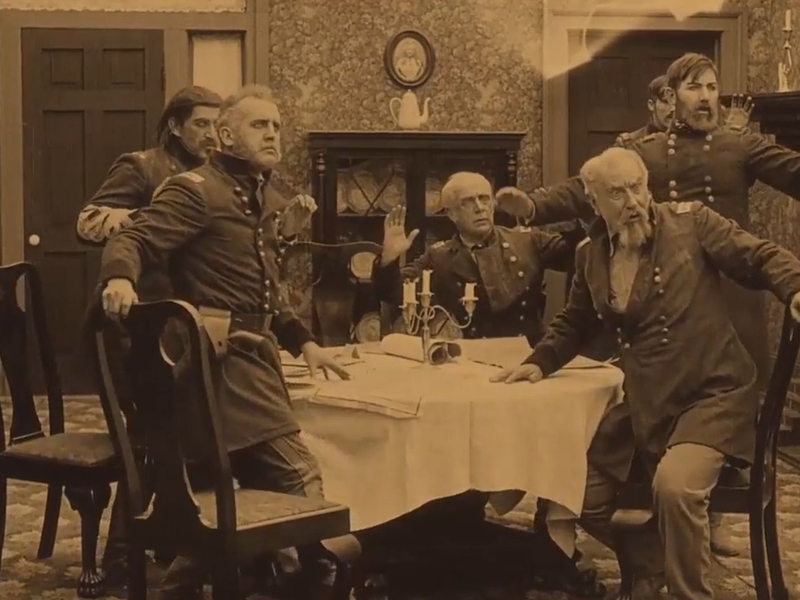 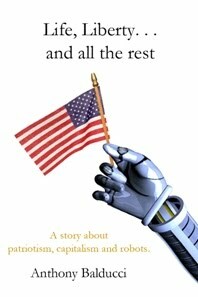 The Civil War breaks out and the son is a physical coward, fearing to enlist. 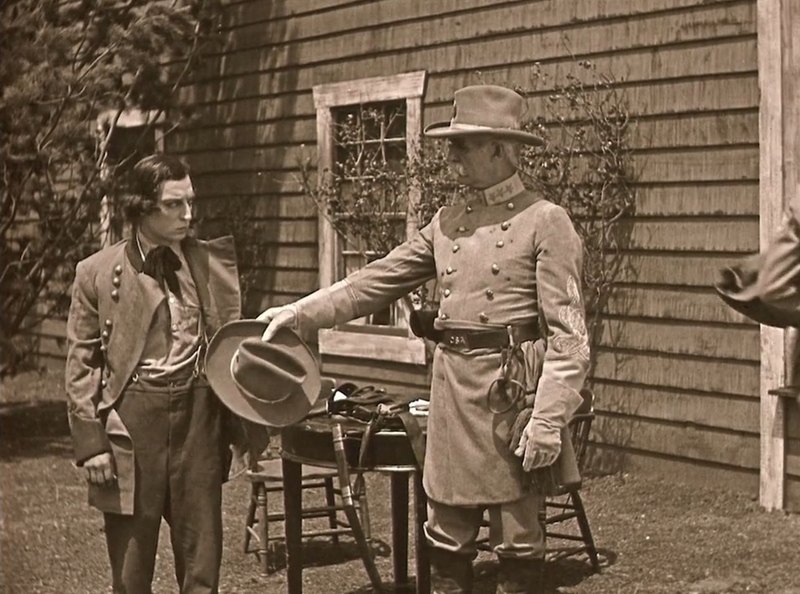 The colonel [the young man's father] takes his revolver and literally drives the boy to join the Confederate army. The first night he is a soldier the youth is assigned to picket duty and deserts. 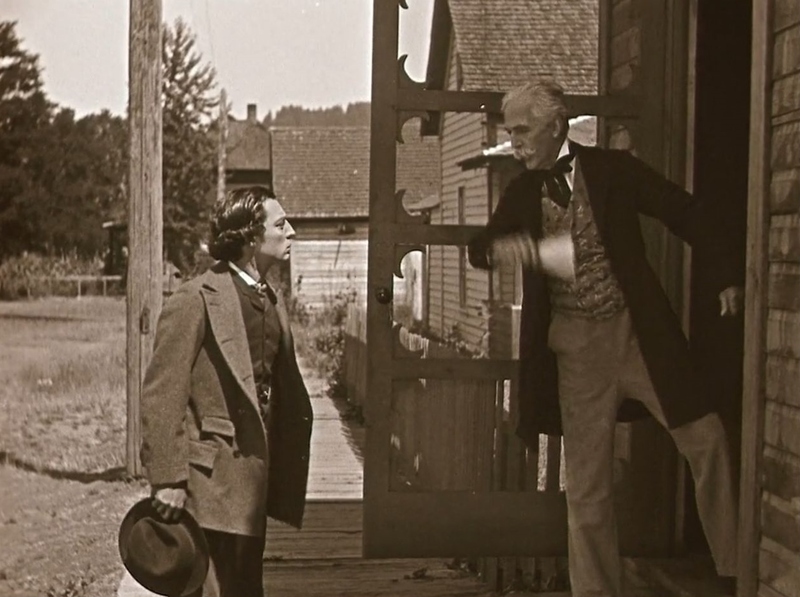 Keaton sets up an elaborate situation in which Johnnie is mistakenly assumed to be a coward. 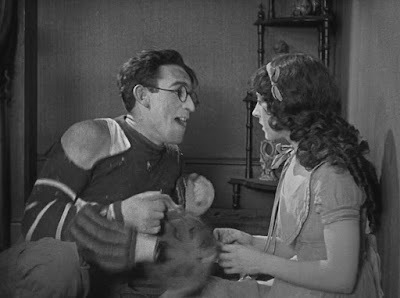 Charles Ray's character, Frank Winslow, is an outright coward. 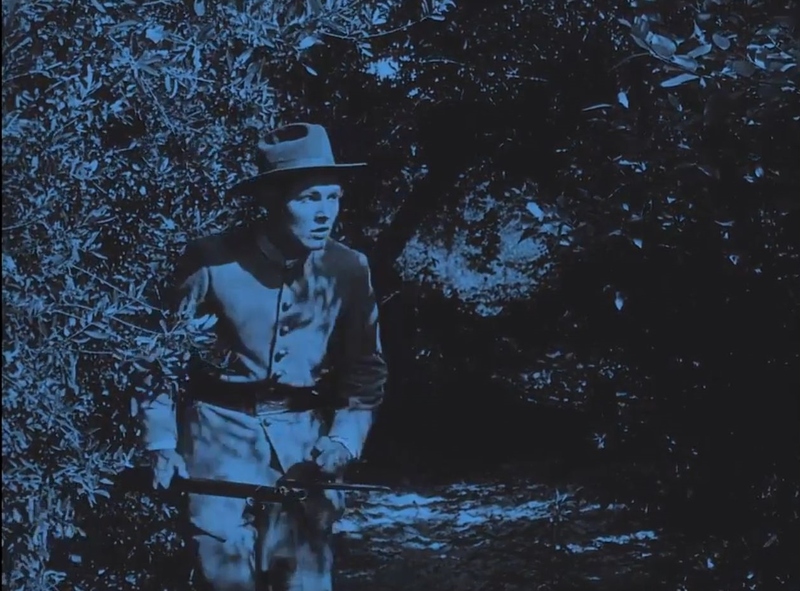 The hero's feeling of disgrace is profound. Like Johnnie, Frank is mostly upset that he has been diminished in the eyes of his girlfriend. 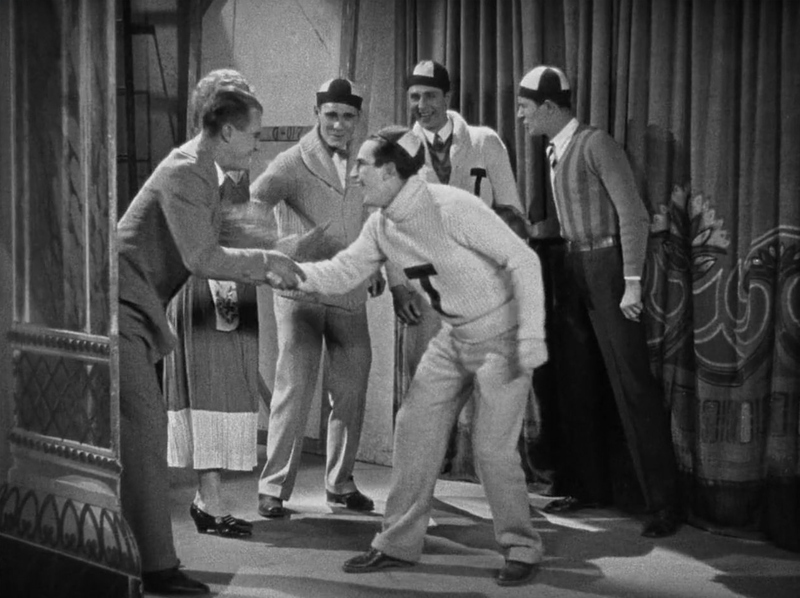 Frank's father is so embarrassed that he turns over his son's framed portrait. Annabelle's father, in a more comic gesture, flings Johnnie's portrait across the room. We never see Johnnie's parents in the film. 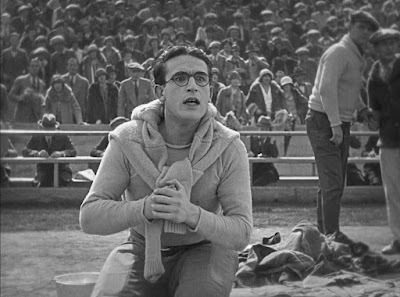 In contrast, the reaction of Frank's parents is crucial to The Coward. The two films have a constant stream of similarities. 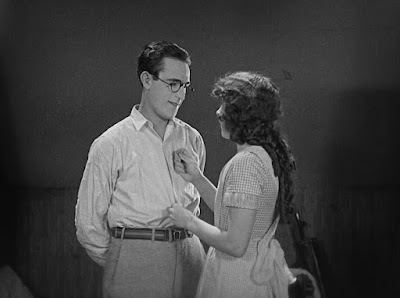 A romance is at the center of the story. A key scene involves the leading man visiting an enlistment center. 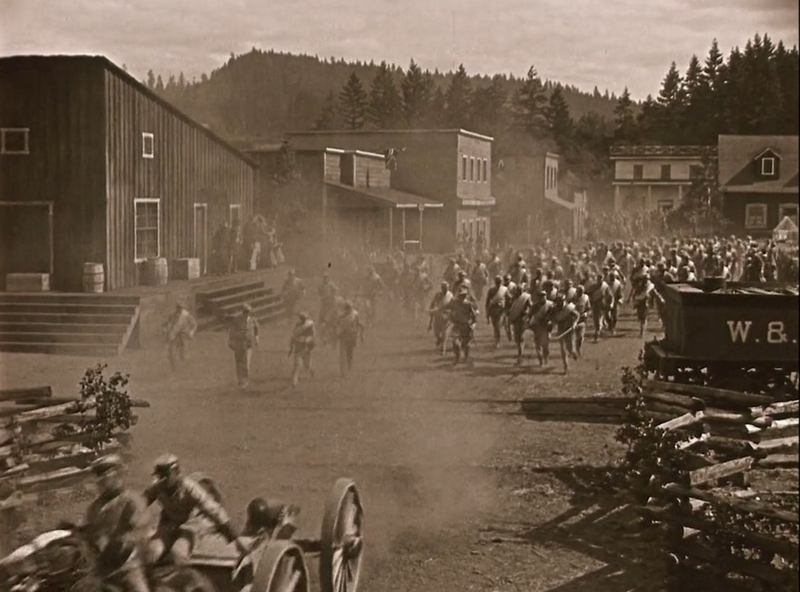 A troop marches through town. 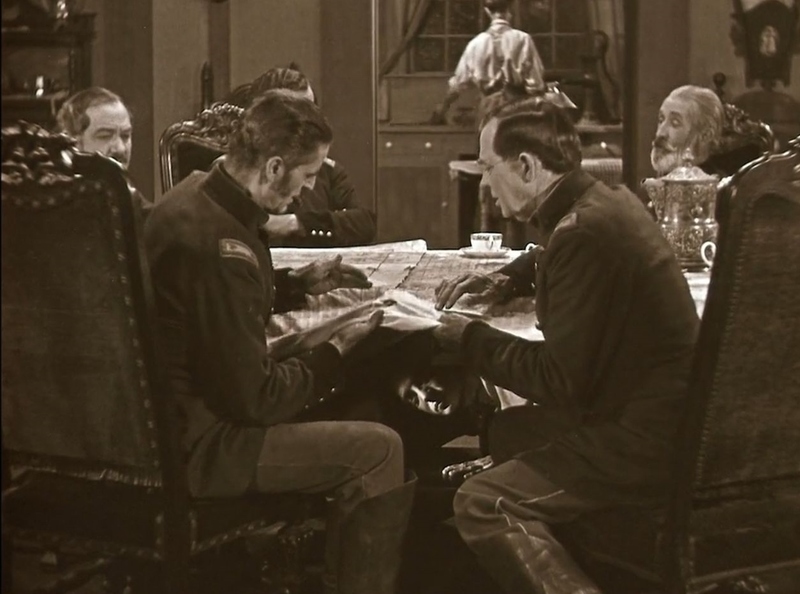 While hiding under a table, Frank overhears Union officers making battle plans and rushes to the Confederate camp to pass this vital information to a general. 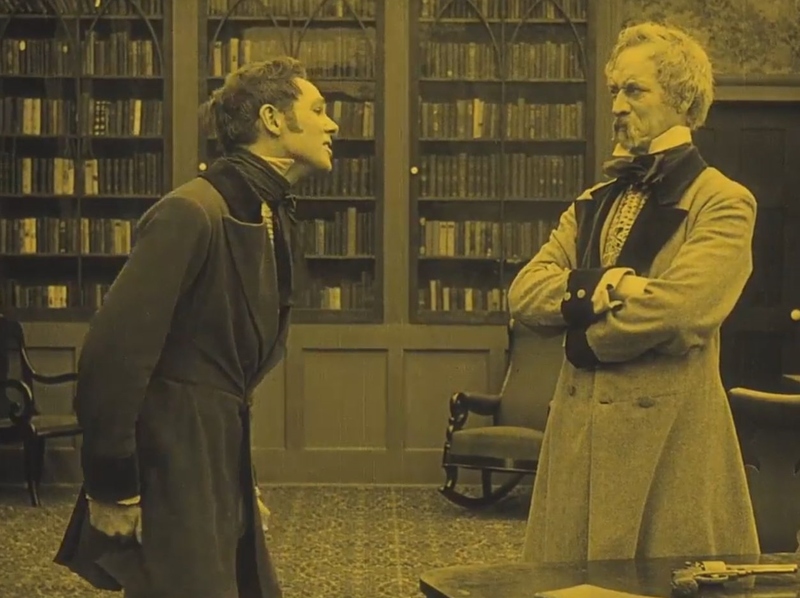 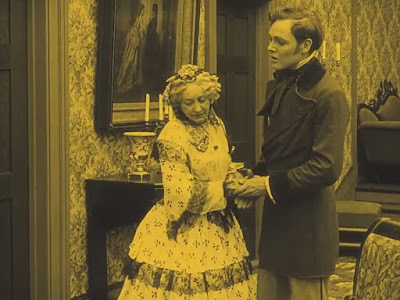 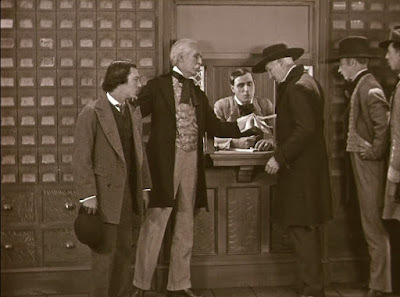 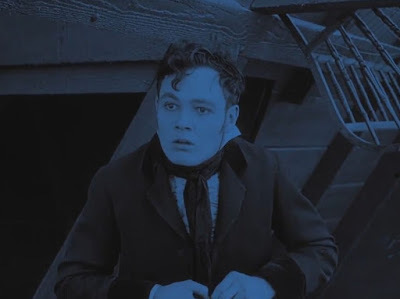 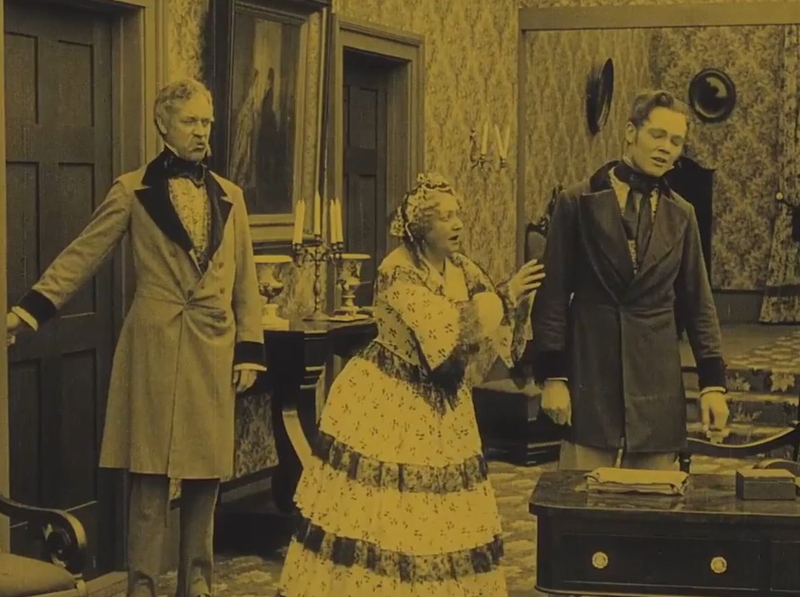 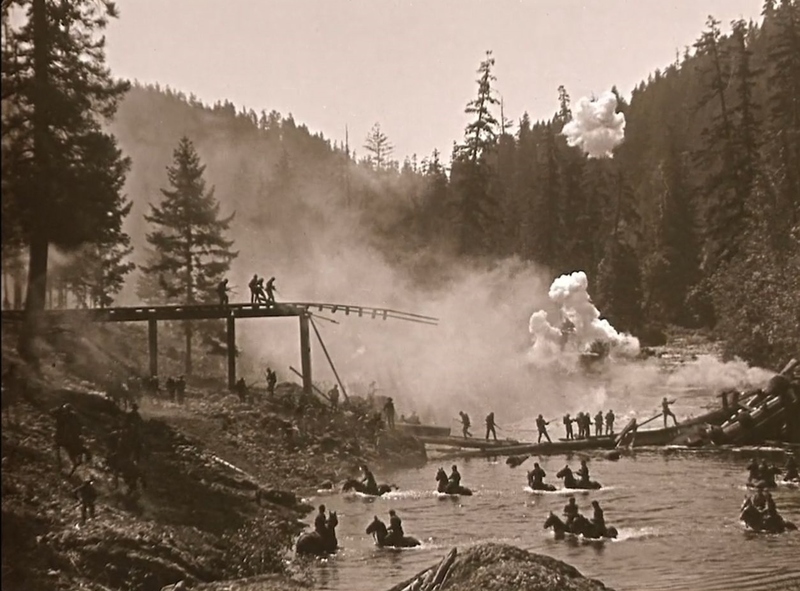 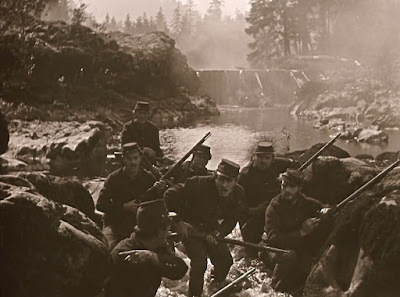 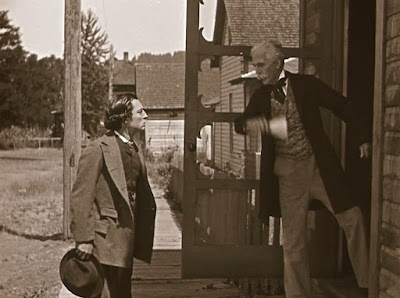 Keaton included the same scene in The General. 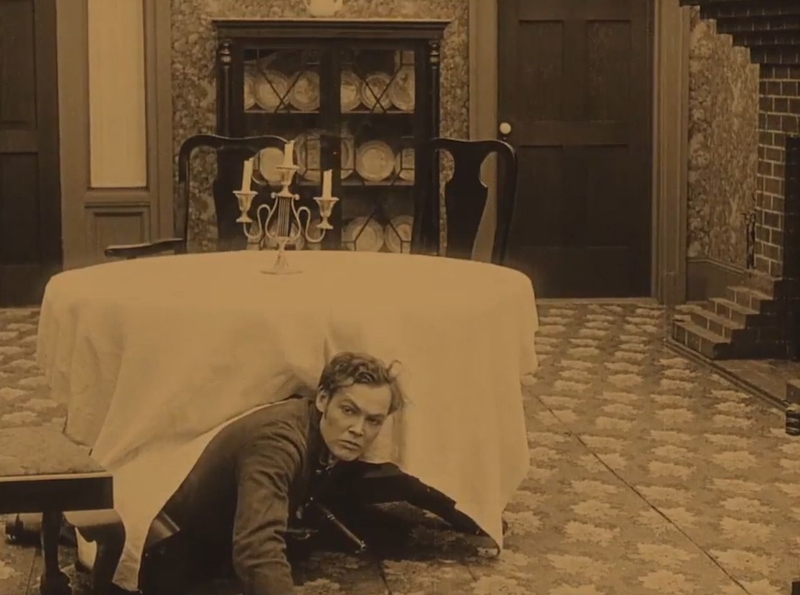 Our comic hero has ended up under the table after climbing into a window in search of food. 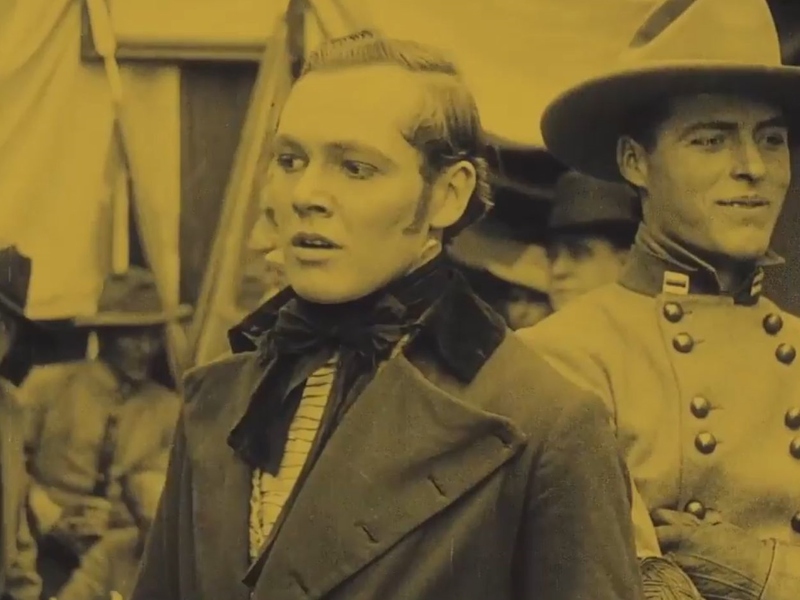 He overhears Union officers' plan for a surprise attack and rushes to a Confederate camp to warn of the attack. 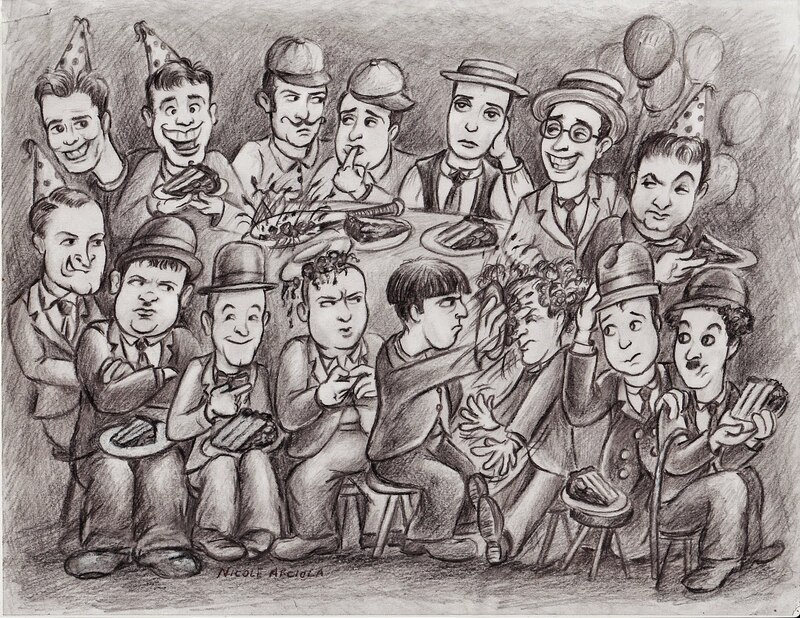 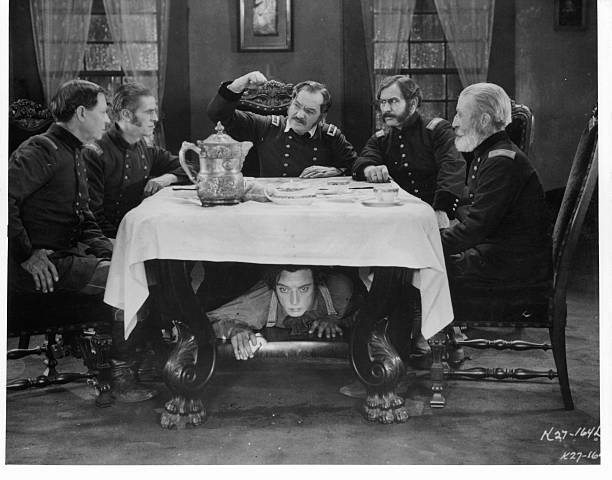 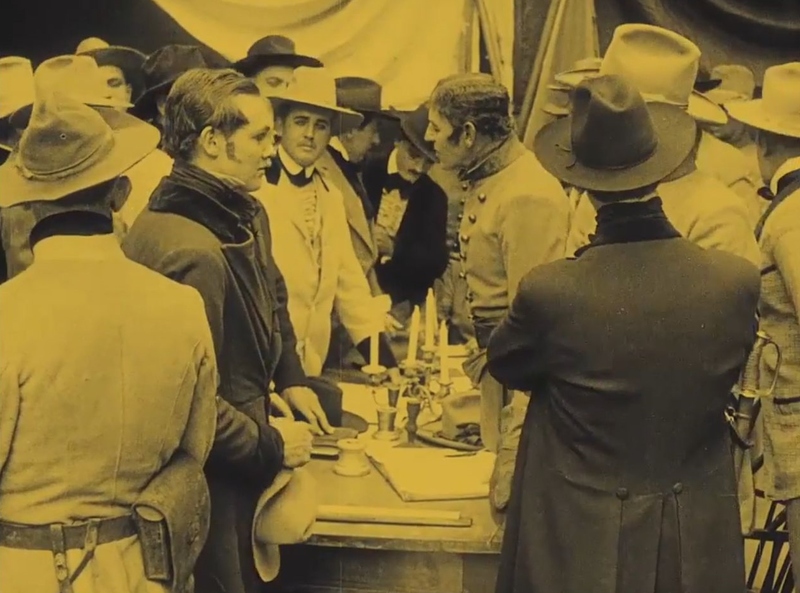 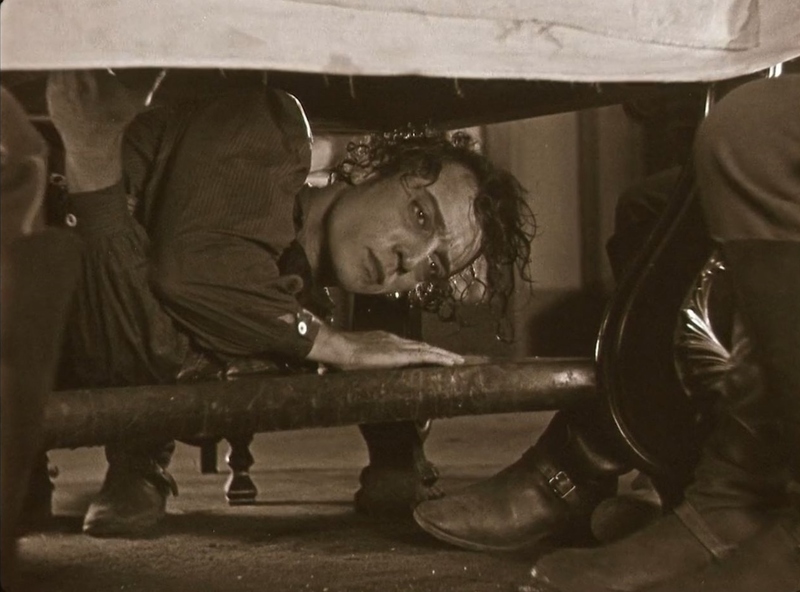 But, to be frank, no one is funnier under a table than the caddish Max Linder. 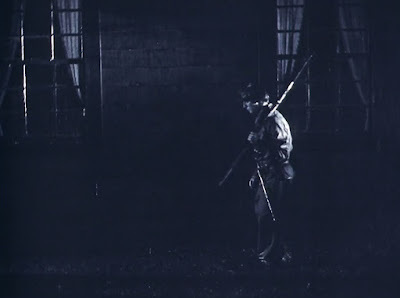 Our hero attacks a Union soldier in the dark of night to steal his uniform. 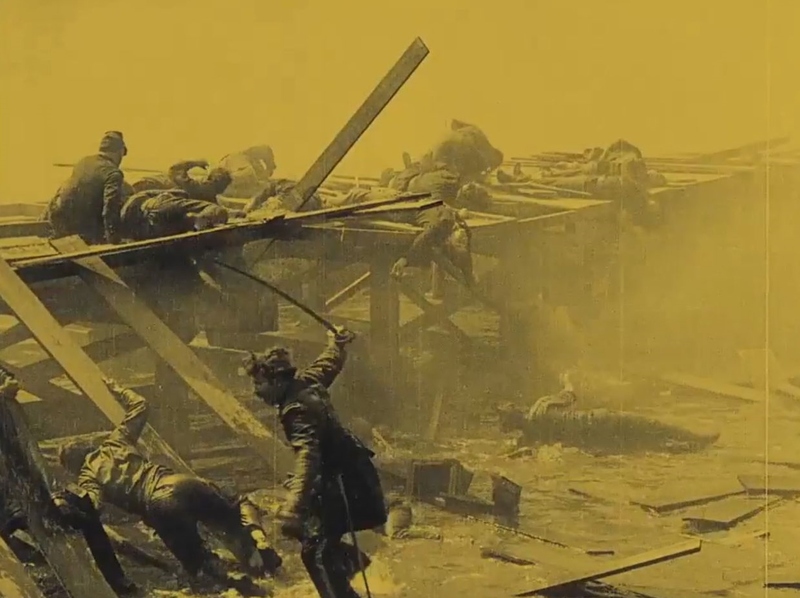 The story climaxes with a big battle. 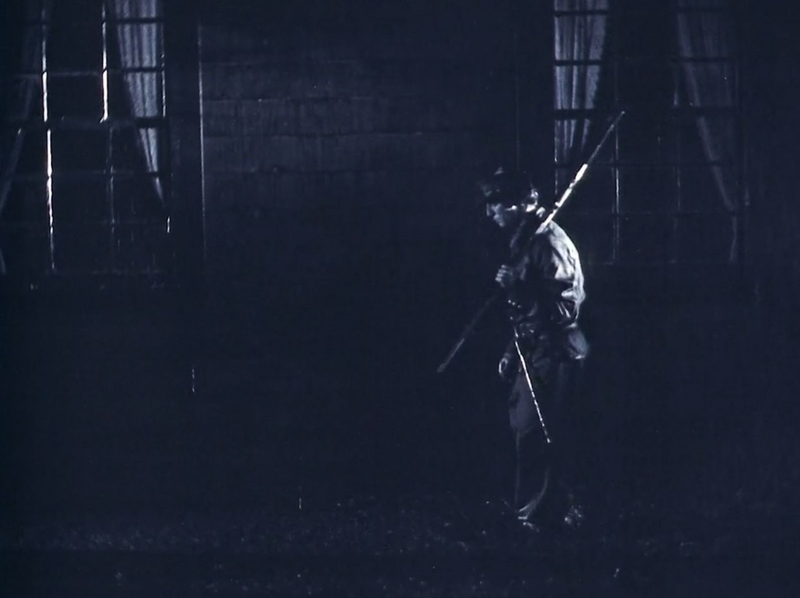 The hero's reputation is restored in the end. Ray returned to the premise of The Coward in later films. 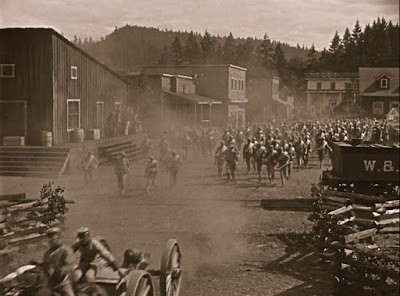 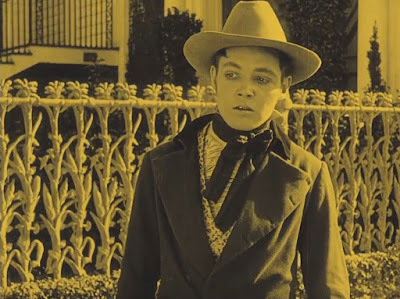 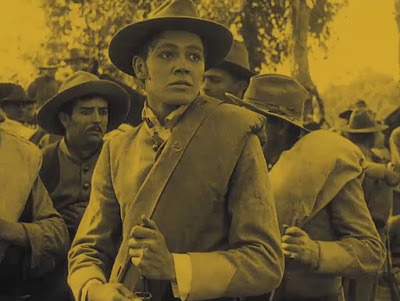 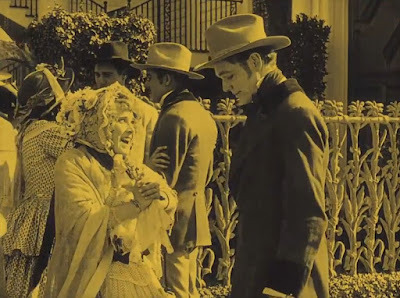 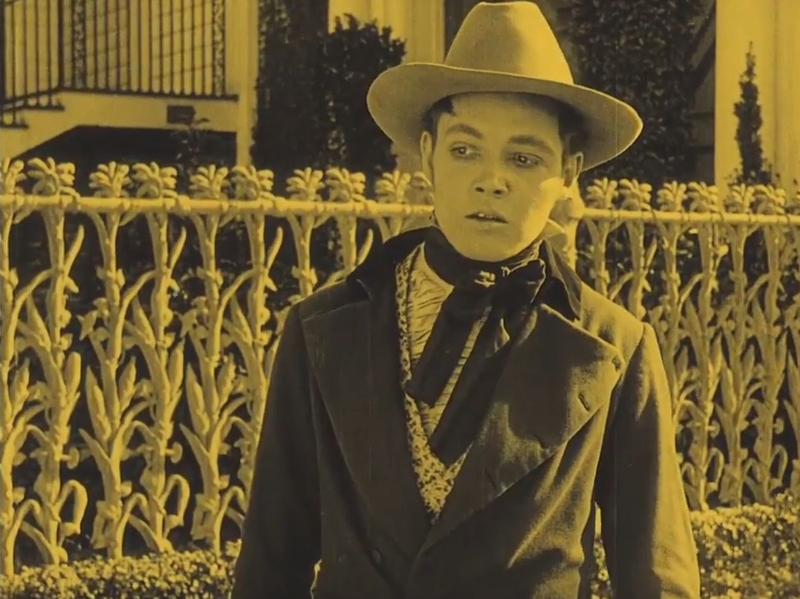 The Internet Movie Database provides the following plot description of the Ray vehicle The Sheriff's Son (1919): "Sheriff's son Royal Beaudry is thought a coward, even by the young woman he has his heart set on. 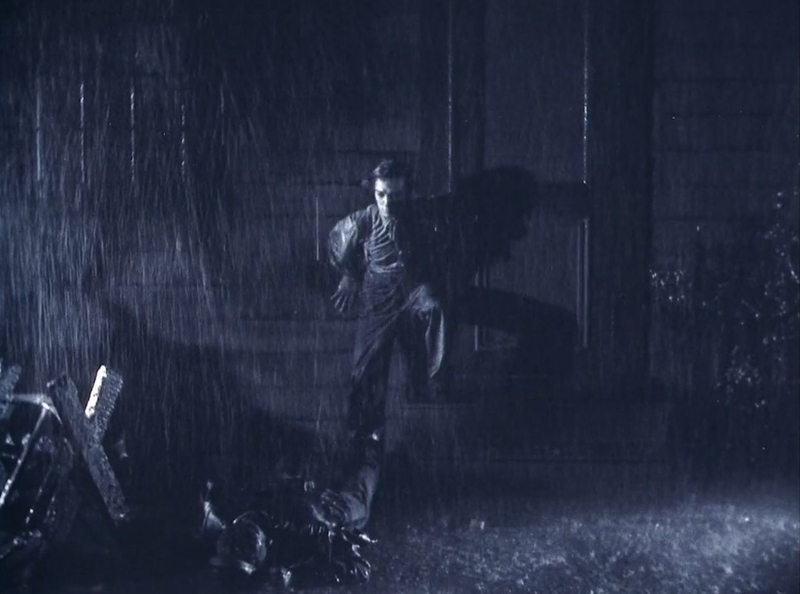 But he disproves cowardice when he rescues his father's friend from kidnappers." 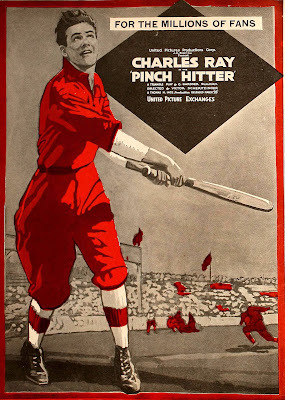 Janiss Garza, "The Pinch Hitter (1917)," AllMovie.